The Faculdade de Ciências Sociais e Humanas – NOVA FCSH (FCSH) of Universidade NOVA de Lisboa (UNL) is the largest Portuguese institution of higher education in the fields of social sciences and the humanities. Its mission is to provide a high quality public service in tertiary education and research in the fields of social and human sciences, thereby raising national and foreign citizens’ qualifications and producing scientifically and socially relevant knowledge. FCSH’s research policy stresses interdisciplinarity – both among the social sciences and between these and other scientific fields – and cooperation – both within the institution and with external institutions. The CLUNL-Centro de Linguística da Universidade NOVA de Lisboa (CLUNL) is a research unit that aims to promote researching in theoretical and applied linguistics, as well as the advanced training of researchers and publication of scientific data in those domains concerned with the nature and structure of languages and texts. Hence, we’re pleased to have FSCH-UNL / CLUNL as #elexispartners with expertise in standardisation, which will collaborate together on standards with other partners, both on the lexicographic and NLP side. 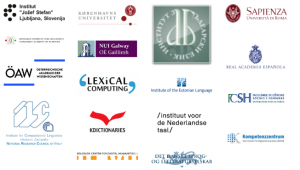 FCSH-UNL is directly involved in International Standards Organisations (TC37 family of standards) and will contribute its expertise in the process of defining common data models for lexicographic resources collected within the consortium. Rute Costa (PhD) is an Associate Professor with tenure and with “Agregação” in Linguistics – Lexicology, Lexicography and Terminology – at the Universidade NOVA de Lisboa (NOVA FCSH). She is the Head of the Linguistics Centre of the Universidade NOVA de Lisboa – CLUNL and researcher at the NOVAsaude Nutrition Program: Obesogenic Environment – UNL.At NOVA FCSH, she is the scientific coordinator of the PhD Programme in Translation and Terminology: She is in charge of the Terminology seminars in the PhD Programme in Linguistics (Knowledge, Representation and Use) and of the specialization in Terminology and Management of Information for Special Purposes (Master in Linguistics). She is presently– the national representative of the Instituto Português para a Qualidade (IPQ) at ISO TC 37– a member of ISO TC 37 “Language and Terminology” (since 2000) – the chairwoman of the ISO/TC 37/SC 2 “Terminology workflow and language coding” (since 2015). Christophe Roche (PhD) is Full Professor in Artificial Intelligence at University of Savoie Mont-Blanc (France), in charge of the Condillac Research Group in “Terminology and Ontology”. He is also Researcher and Lecturer at University NOVA of Lisbon (Portugal). His main areas of research are terminology, knowledge representation, and ontology. He is the Project Leader of the ISO 1087 Standard on Terminology Vocabulary, and Chairman of the AFNOR (The French Organization for Standardization) Commission on Terminology, Principles and Coordination. Christophe Roche has participated in several international projects (FP 4, Eureka, FP 7, Interreg, Tempus, Paulif, Xu Guangqi, Talent, H2020). He is the chairman of the TOTh Conferences set up in collaboration with University NOVA of Lisbon.